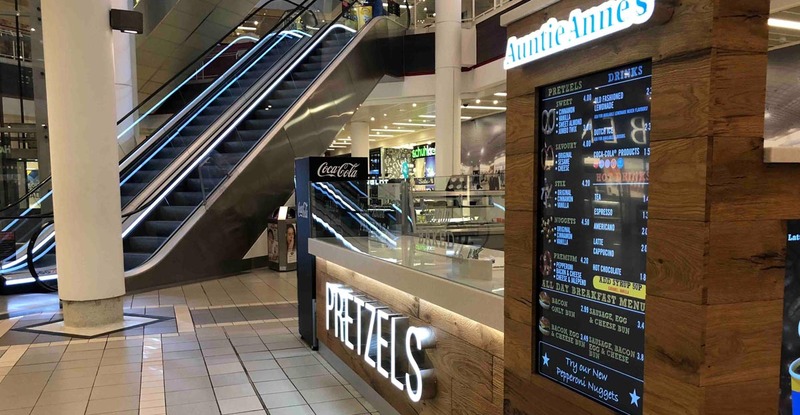 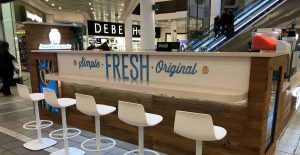 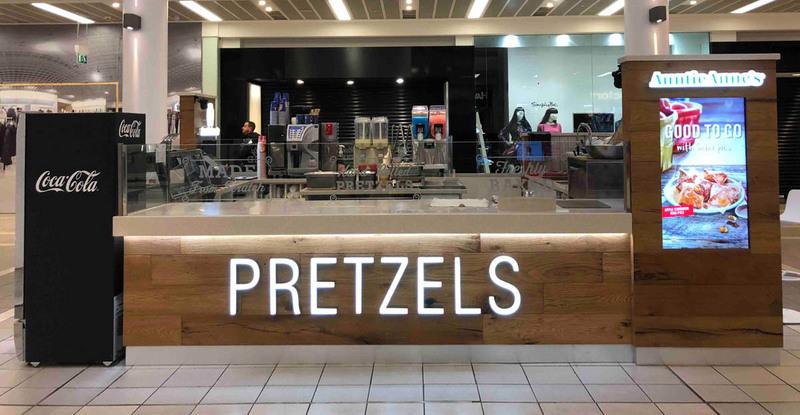 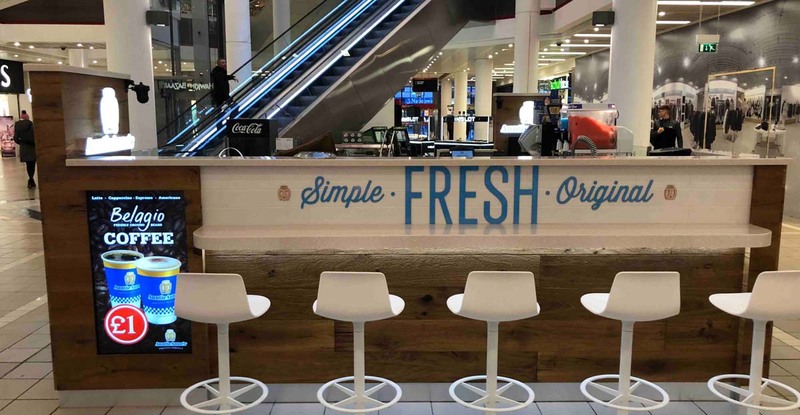 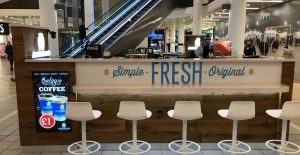 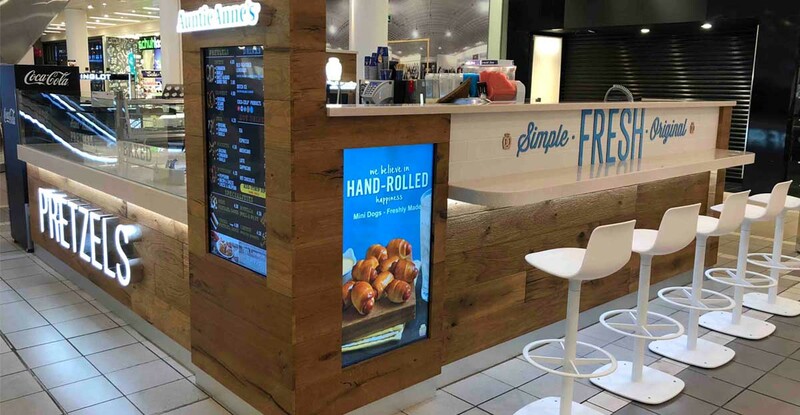 Marcon completed the manufacture and fit-out of the new Auntie Anne’s® kiosk in Castlecourt Shopping Centre in Belfast. 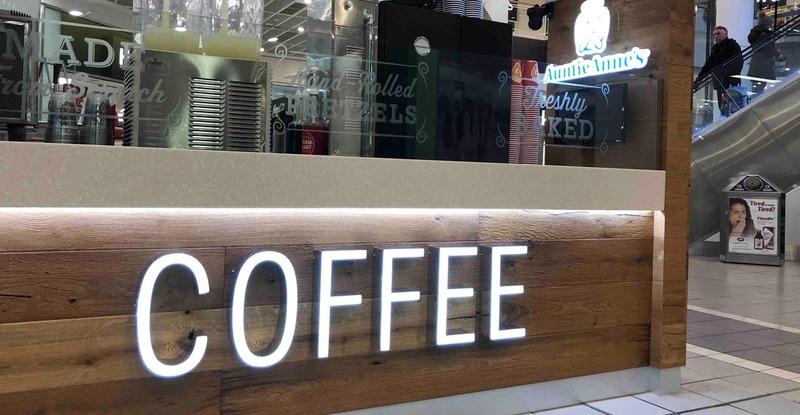 Utilising its purpose built joinery workshop, Marcon carried out the the manufacture and installation of the new concession. 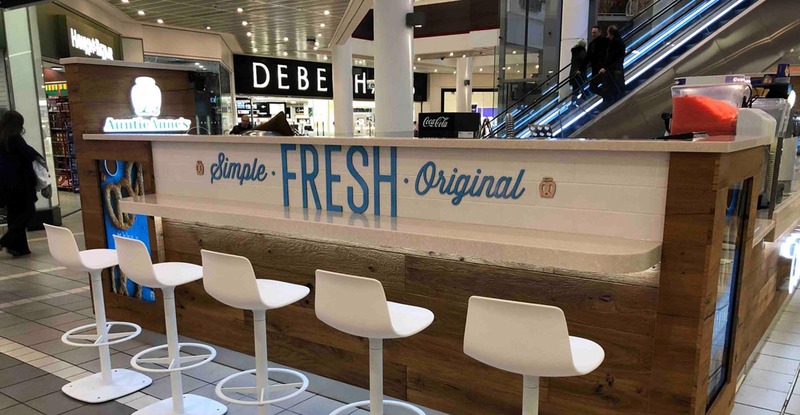 The fit-out entailed the formation of perimeter walls clad with oak planks, Corian countertops, glazed screens and ceramic tiling. During the onsite phase the team also installed new services, new safety flooring and illuminated signage. 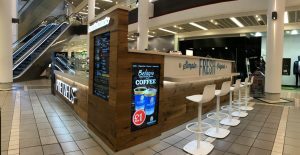 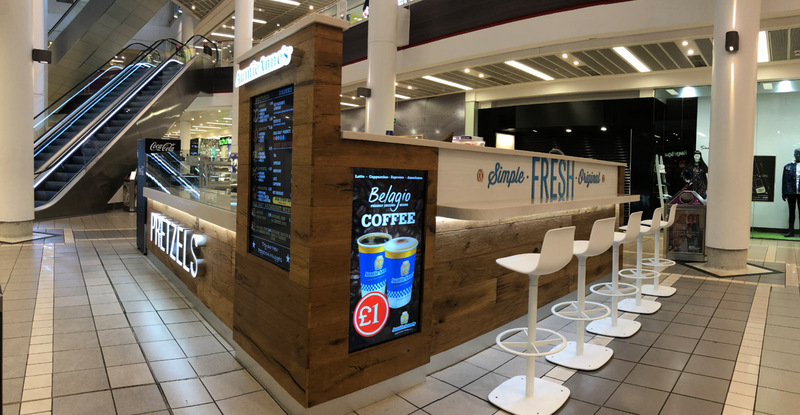 The modern kiosk has integrated Audio Visual screens, Digital Signage, CCTV installation and a comfortable customer seating area. 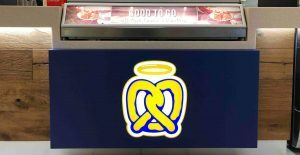 With more than 1,600 locations in more than 25 countries, Auntie Anne’s mixes, twists and bakes pretzels to golden brown perfection. 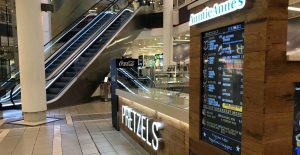 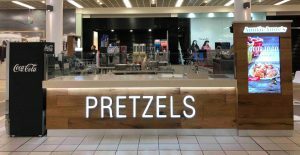 Auntie Anne’s can be found in shopping centres, as well as in non-traditional spaces including universities, airports and train stations.